The team at Fancy Hank’s is excited to announce a series of events taking place in March with celebrated US pit-master Elliot Moss, who will be leaving America for the first time in his life to cook up a storm with the Fancy Hank’s team here in Melbourne. 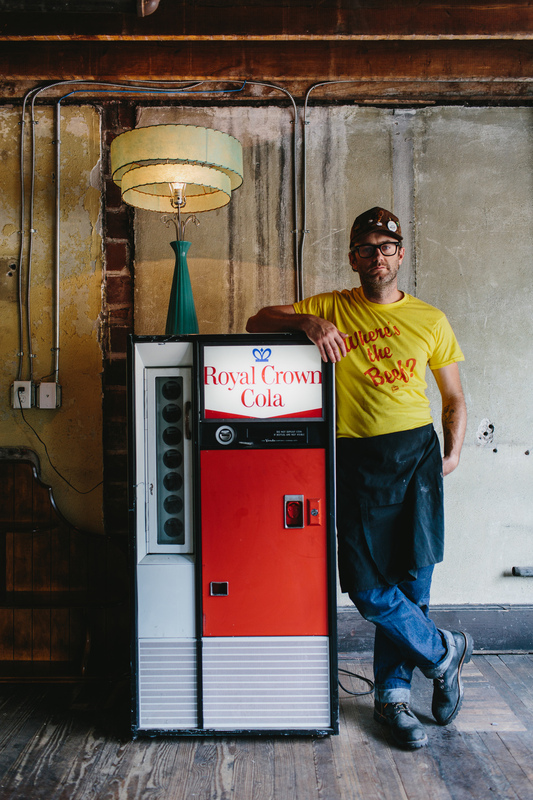 Moss is the co-owner and executive chef of Buxton Hall BBQ in Ashville, South Carolina, with the chef being recognised for revitalizing Carolina barbecue history. Buxton Hall BBQ smokes its hogs’ ‘eastern style’, low and slow for 18 hours over hardwood coals, infused with vinegar mop, a special Moss family recipe. Moss has earned rave reviews from The New York Times, GQ Magazine, Food & Wine Magazine, Martha Stewart Living, and many more national publications. He was nominated for the James Beard Award for ‘Best Chef Southeast’ in 2013 during his stint at The Admiral in North Carolina and continues to garner accolades at Buxton Hall BBQ. “Elliot and I met in New York during the Big Apple Block Party BBQ Festival in June 2017 and we got to know him over that weekend. We were the only Australians representing the BBQ scene there and he was so welcoming so we jumped at the chance to return the favour,” said Fancy Hank’s executive chef Mike Patrick. Moss will join Heroes head chef Alicia Cheong for Yum Cha(r) on the roof on Sunday 10th March. For $45 punters will receive two hours of drinks and Yum Cha(r) with each chef creating one meat and one vegetarian dish. Sides will include deep fried Sambal buns, steamed chive dumplings, congee and spring onion pancakes. From Tuesday 12th March until Thursday 14th March, Moss will then take over the Fancy Hank’s kitchen creating a series of special dishes that will showcase some of Moss’ famed Carolina barbecue fare. Presenting a quadruple threat for fans of American pit-smoked barbecue, Patrick and Moss are teaming up with Igni’s Aaron Turner and Captain Moonlite’s Matt Germanchis for the best barbecue party the surf coast has ever seen as part of Melbourne Food & Wine Festival on Saturday 16th March. Surf Coast BBQ Block Party brews will be served by Blackman’s Brewery from Torquay and wines from Oakdene, showcasing the best local produce from the region.